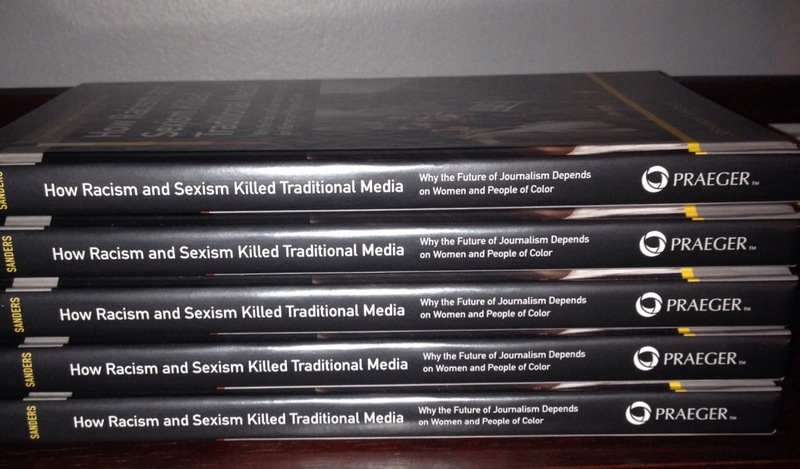 This is a stack of my contributor copies for my new book, How Racism and Sexism Killed Traditional Media: Why the Future of Journalism Depends on Women and and People of Color. It’s scheduled to be published August 31. I owe so much of the existence of this book to my mentors and colleagues in journalism, especially Dori Maynard, who I wish was alive to see the publication of a work that is built on the foundation of work that she and her father pioneered regarding media diversity. Beyond that, I started writing this book in earnest the same year that my mother died. I needed to pour my heart into something that I cared passionately about, and in spite of myself, journalism and the journalism industry, with all of its potential and flaws, became part of that. So now it is in physical form, after I have carried it around in my head and heart all this time, which I can’t imagine ever getting old for a writer, especially someone who has loved books and wanted to publish one for most of my life. I hope you’ll pick up a copy. It’s at Amazon and ABC-CLIO.